A series of finance conferences are being staged across Yorkshire and the Humber to discuss how businesses can gain investments for growth. Finance Yorkshire is hosting the annual events in Leeds, Hull, York and Sheffield in March, with representatives from each of the regional Local Enterprise Partnerships also attending. Seedcorn, loan and equity linked investments, ranging from £15,000 to £2m, are available from Finance Yorkshire to help a range of small and medium sized businesses meet their funding requirements for growth and development. Finance Yorkshire chief executive Alex McWhirter and directors of the Fund will be at the events, which are aimed at financial intermediaries across Yorkshire and the Humber, to provide an update on current activity from the £90million fund. Also, businesses which have received investment from Finance Yorkshire will demonstrate how they have benefited from the funding. These annual events have become popular with financial intermediaries across the region to assess and discuss investment opportunities in a wide range of businesses. It provides Finance Yorkshire with another opportunity to showcase where we are with our investments and what the funding has enabled businesses to do. In addition, this year delegates will gain more information on the key strategies for growth from their respective Local Enterprise Partnership (LEP). Finance Yorkshire and the LEPs have a common goal, to enhance the business offering across the region, improve prosperity and generate employment. Only by working together and through continued collaboration across all sectors, will we be in a position to achieve those objectives. 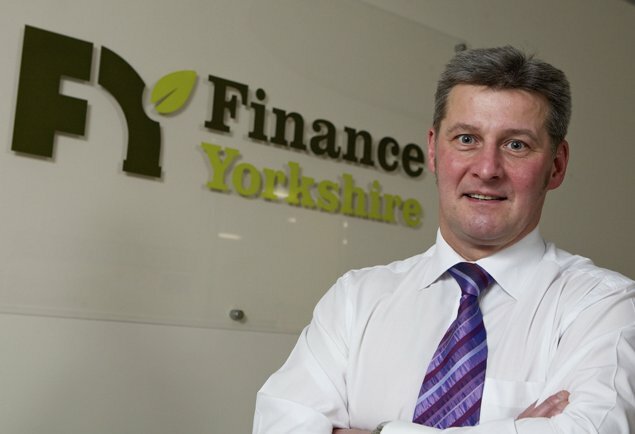 To register a place at the Finance Yorkshire events visit www.finance-yorkshire.com or ring 0845 649 0000. *Finance Yorkshire is supported financially by the European Union. It has attracted £30million investment from the European Regional Development Fund (ERDF) as part of Europe’s support for the region’s economic development through the Yorkshire and Humber ERDF Programme, £15million from Yorkshire Forward’s Single Programme, and £45million match funding from the European Investment Bank.